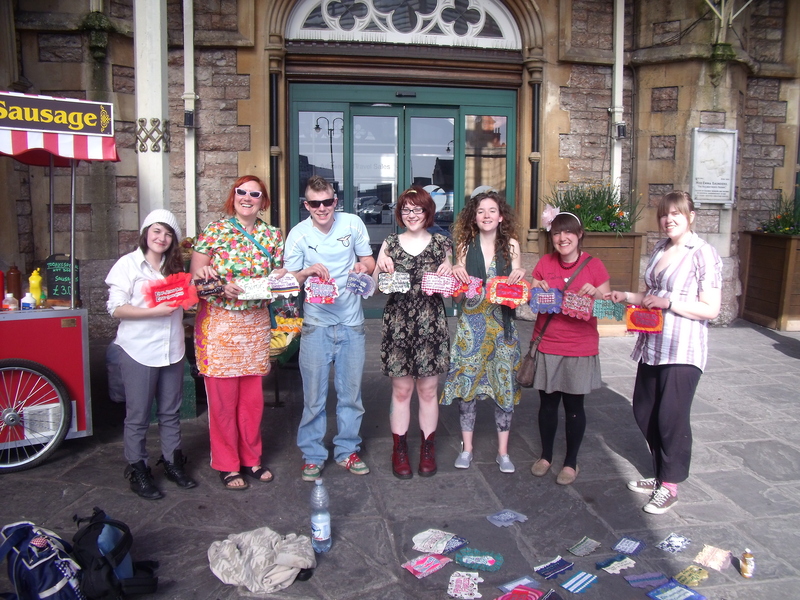 At 1pm on Saturday 10th April, craftivists joined in a nationwide protest to demand a halt to rail fare increases. Currently the coalition Government plans to hike fares by 31% over the next 4 years whilst continuing to say that will be the greenest Government yet. 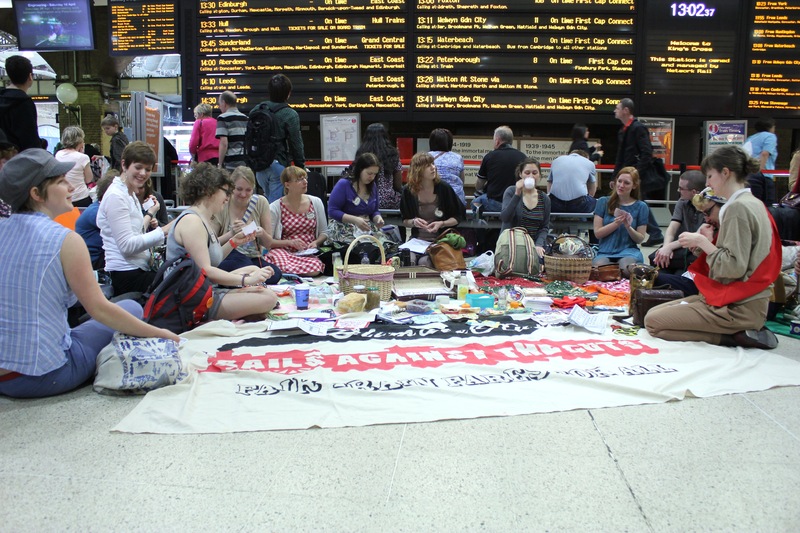 Hundreds of craftivists (activists who protest using scissors, thread and fabric) converged on railway stations across the UK for a protest picnic and stitch-in. From Brighton and Cornwall, Dorset and Devon to Leeds, Sheffield, Manchester and London. All stitch-ins brought together eager craftivists, who shared their message with members of the public who wanted to find out about the unique action. The craftivists from the Craftivist Collective created 4inch deep x 7inches wide fabric train coaches covered with statistics, facts, quotes and consumer views on our Government’s carbon-friendly transport policy, as well as providing jam sandwiches and cupcakes for passers by from picnic hampers. 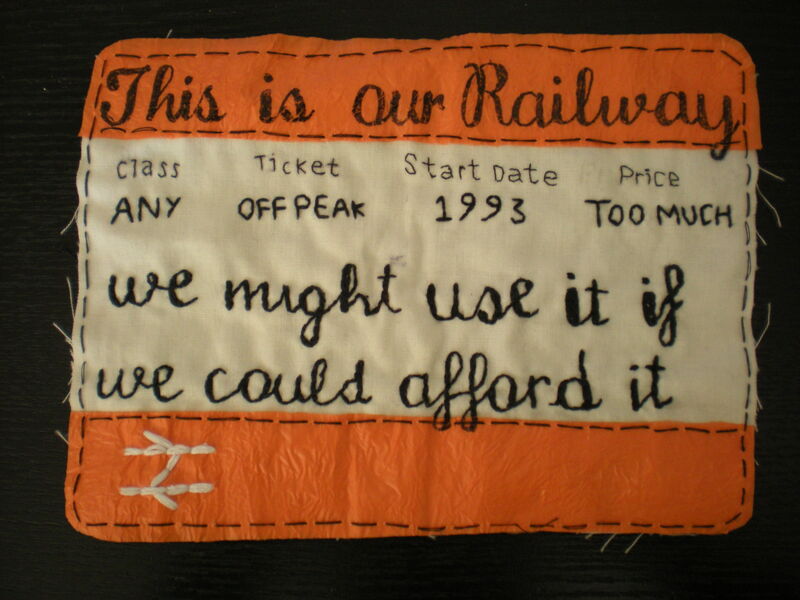 One Craftivist said: ‘It was a great way to engage the public in the issues of unfair rail fares and climate change. 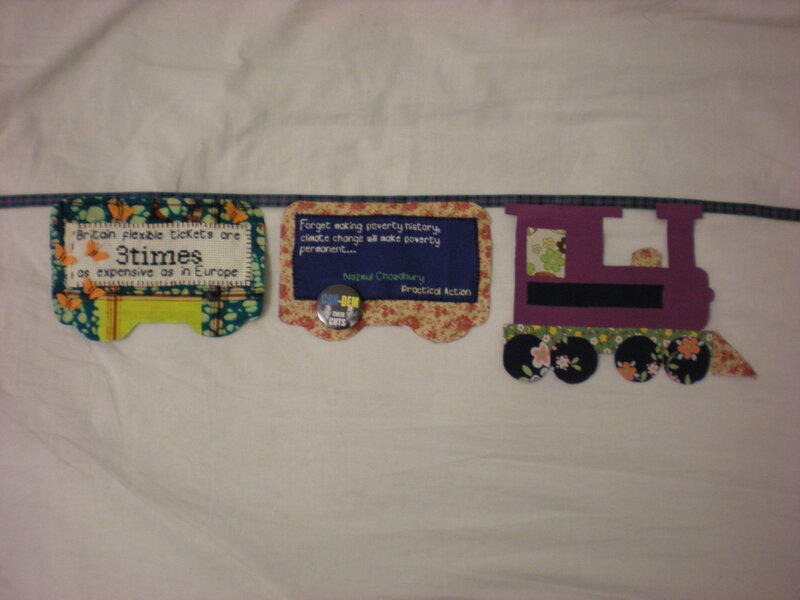 We crafted loads of train coaches to add to our bunting petition during the day. 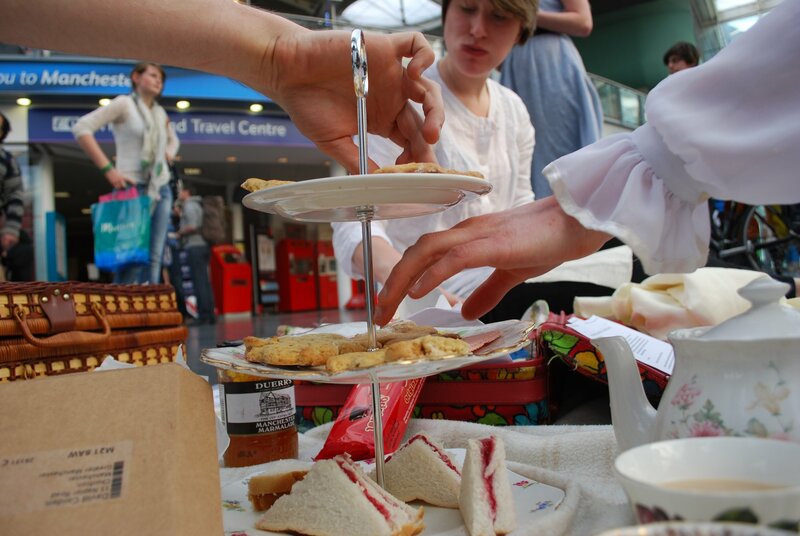 And which other protest could you attend that provides jam sandwiches, cupcakes and tea with a smile? “As the Craftivist Collective we are passionate about showing our love for local and global neighbours. The unfair fare increases will stop people using trains when we need help keeping our carbon footprints down. The increases will hit people living in poverty the most and stop them getting to their jobs and alienate them even more from society. ‘Whether we like it or not, the ability to travel point-to-point on an individually-tailored timetable [i.e. in a car] is one of the great quality-of-life gains of the second half of the 20th century. The various panels will be collated into a petition-train which will be taken on a Fair Fare Railway Adventure on Saturday 16th April. It will be delivered to Philip Hammond MP (Minister for Transport) by direct action group: Climate Rush.